Today, April 4, marks the 50th anniversary of the assassination of Martin Luther King, Jr. The CLC has asked several Texas Baptists to write on aspects of Dr. King’s ministry and influence. This is the third article. By Michael A. Evans, Sr.
As we commemorate the 50th anniversary of the brutal assassination of Martin Luther King, Jr., we must acknowledge that his hopes for a unified nation continue to be a dream that the people of the 21st century must strive to attain. Dr. King was adamant that the next great challenge to face our nation was not racism but classism. The fact that millions of people in the United States were stricken by the demon of poverty and the specter of food insufficiency haunted him and caused an uneasiness in his soul that would be perplexing to some of his closest allies. Many of his colleagues felt segregation and societal separation was the most important matter at hand. Dr. King began to view the causes of civil rights from a broader perspective. For him equity in pay, safe working conditions and equal opportunities for advancement was as much a “civil right” as allowing eligible citizens the opportunity to vote. It was his final mission in life that led him to Memphis to trumpet the aforementioned causes on behalf of hard working black sanitation workers. He believed no person should be paid less because of their race or station in life. The root of southern hatred was born out of a sense of social insecurity, a threat that one group would gain power over another. When one group feels as if it can only survive by suppressing the rights of others -- voting rights, rights to earn equal pay for equal work and the list goes on -- there will always be division and never community. Community is defined as “the people with common interests living in a particular area.” As Dr. King noted in his book Where Do We Go From Here: Chaos to Community?, we are truly living in “one world house.” However separate our society and even our world, we live on an ever shrinking planet bound together by technology which places humanity in constant contact with diverse people groups on a daily basis. At times the technological advances often force us to be in uncomfortable proximity to each other. This closeness now challenges people to confront ideas and cross-societal norms that generate fear and at times resentment for other people, countries, and cultures. Fear divides us and causes us to vilify others. The late Dr. Howard Thurman wrote, “Fear is one of the persistent hounds of hell that dog the footsteps of the poor, the dispossessed, the disinherited.” As long as we foster these often unwarranted, prejudice-based fears of other people, we will forever chase the dream of unity. If we allow, however, the spirit of Christ to unite Christians under the common cause of civility and love for all humanity, community will be attainable and the “American dream” will be achievable. This is what Dr. King sought for all people. Full equality and unbridled opportunity for people of all walks of life is the ideal that King sought for all -- Americans and the whole of humanity. He simply wanted people from all socioeconomic levels to be afforded the chance to seek the American ideal of life, liberty, and the pursuit of happiness. For King, these are the essential ingredients to foster true community. Now the challenge is greater as we view community from a larger vantage point. Community in the eyes of Dr. King could never be selfish or self-satisfying. True community can only be realized when the rights of others to live a life free of the ills of oppression -- to include social, economic, religious and other forms -- were no longer the norms of our global family. Rev. 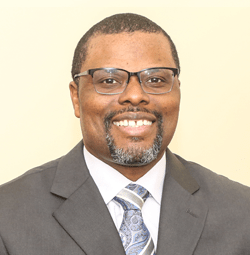 Dr. Michael A. Evans is pastor of Bethlehem Missionary Baptist Church in Mansfield and is a member of the Texas Baptist Christian Life Commission. Pastor Evans is the author of the forthcoming book, Going to the Church House:Pastoral Leadership Models for the 21st Century Black Church..